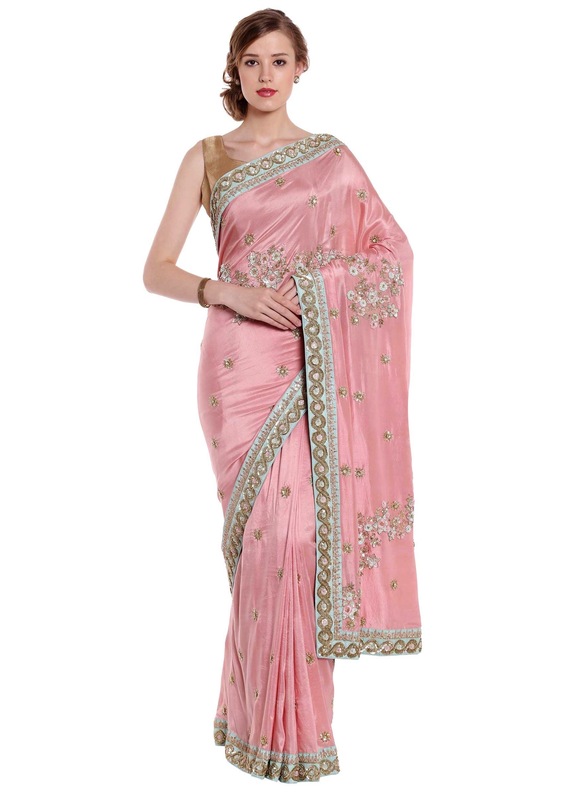 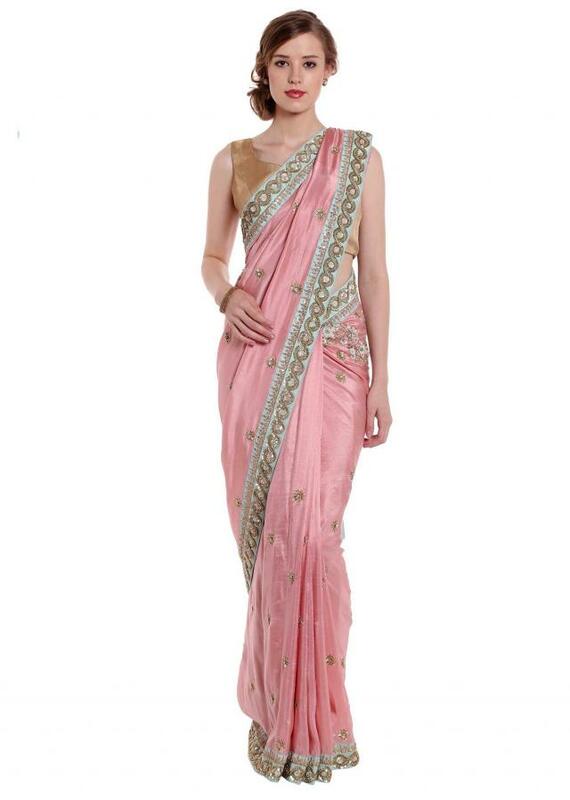 Blush pink saree featuring in raw silk. 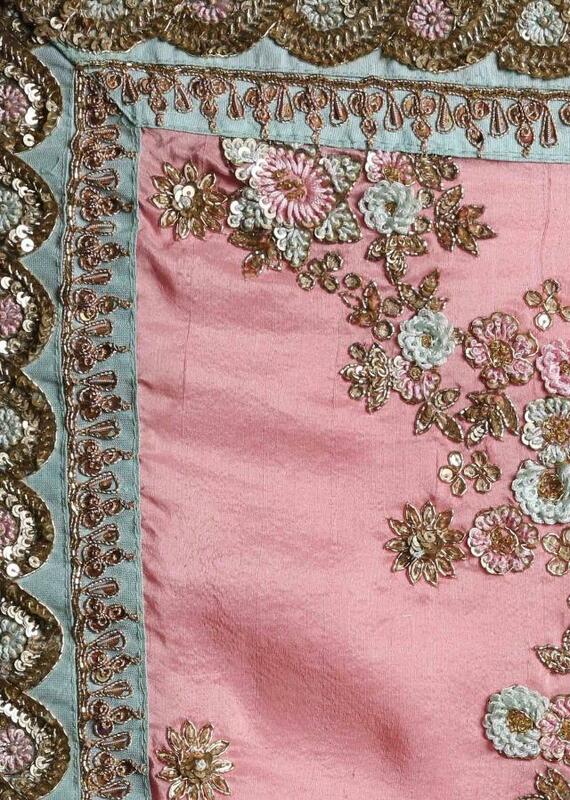 Embellished in cut dana and french knot embroidery in resham all over along with sequin border on turq silk. 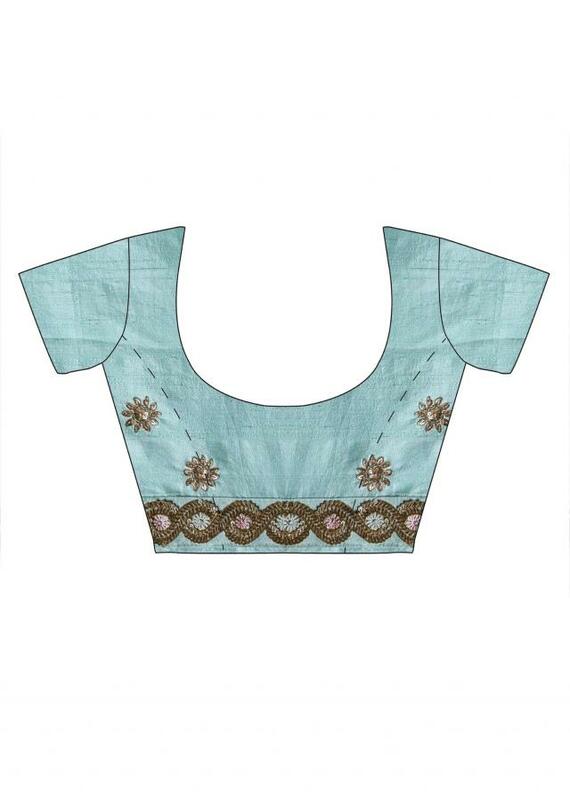 Matched with unstitched blouse in turq raw silk.